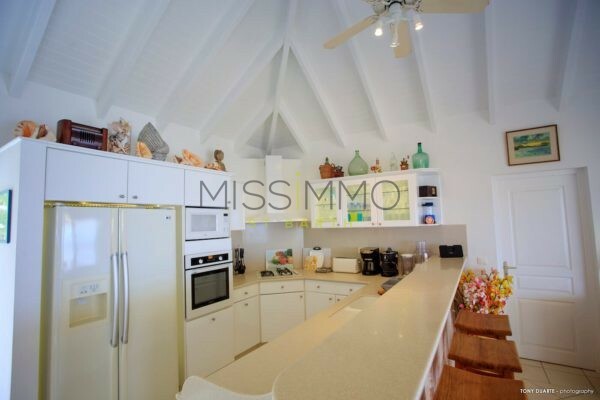 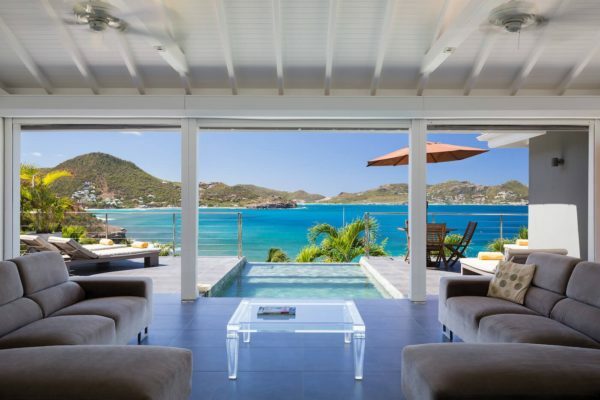 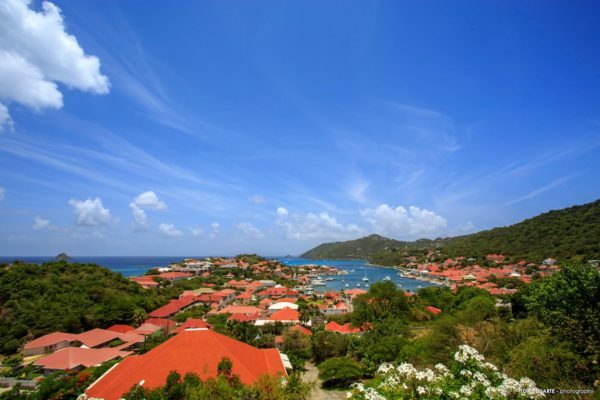 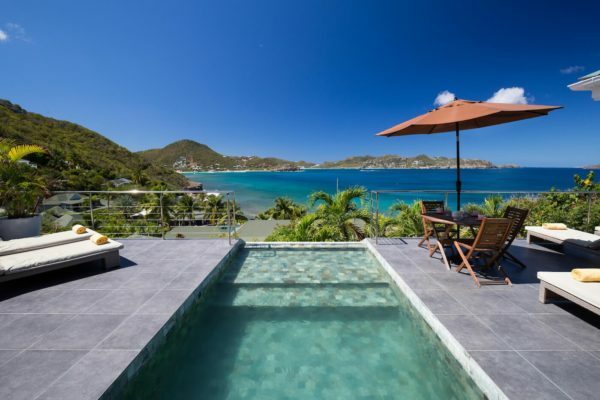 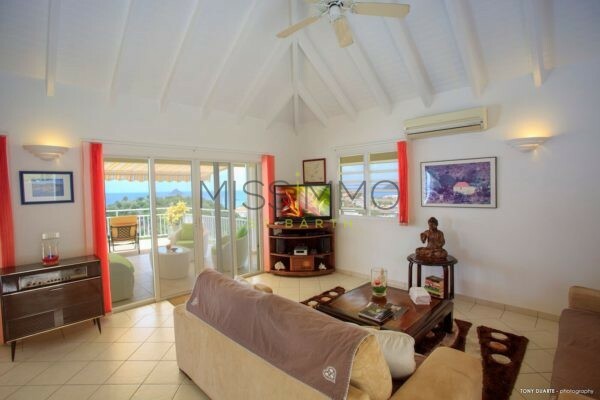 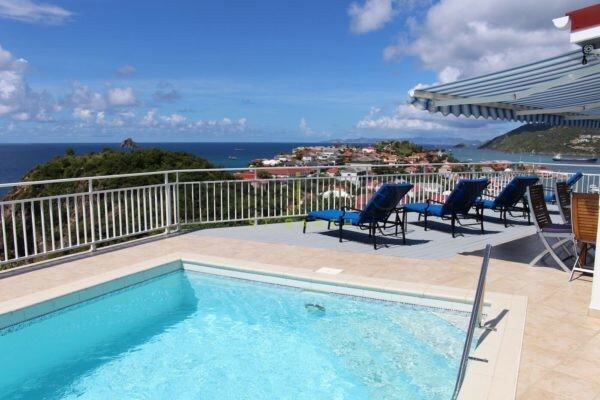 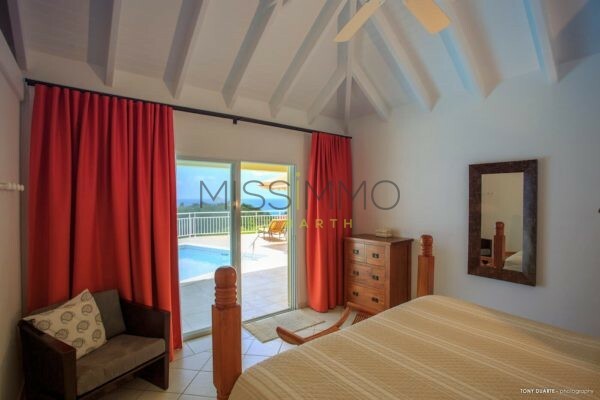 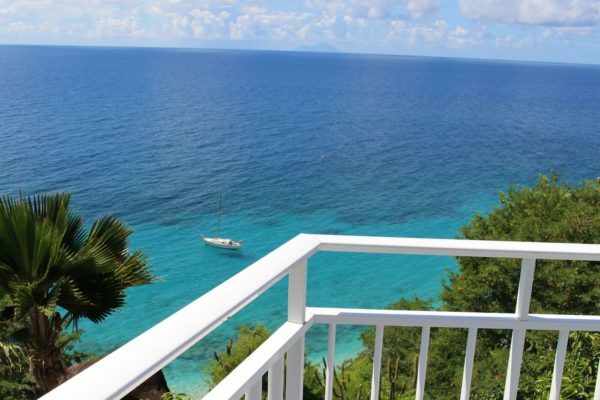 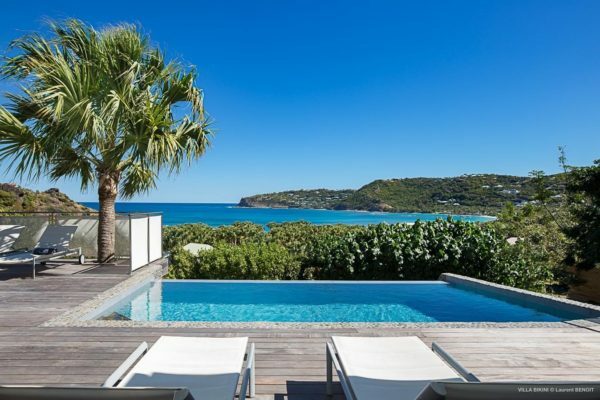 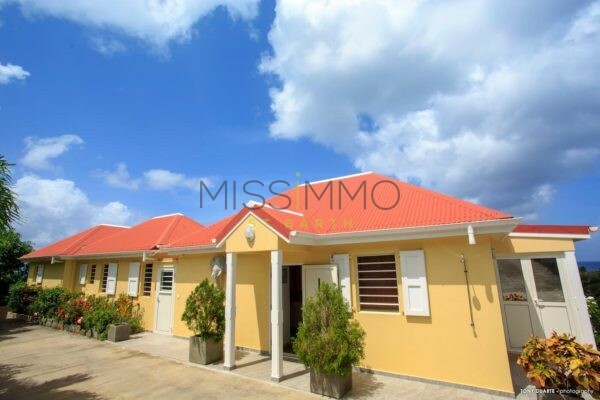 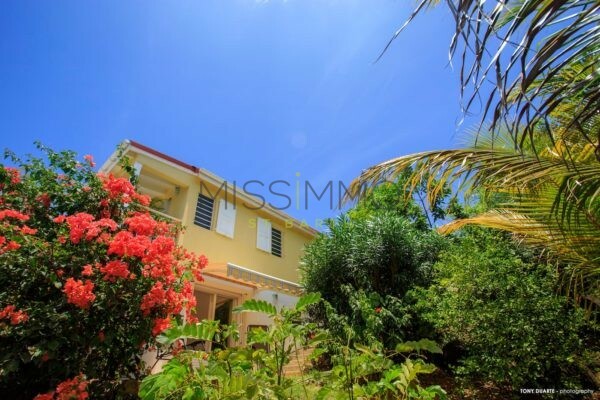 Villa Grand Galet is a very private 3 bedrooms right on the hillside of Gustavia. 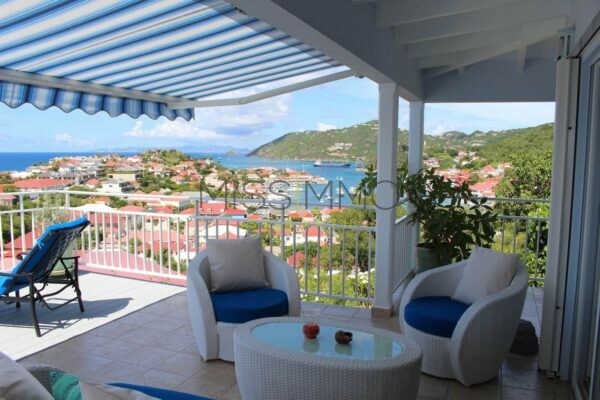 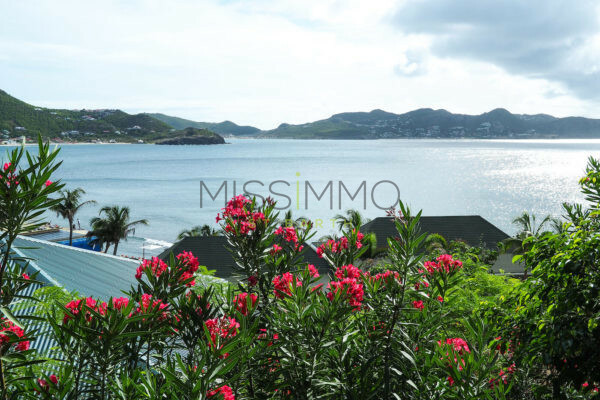 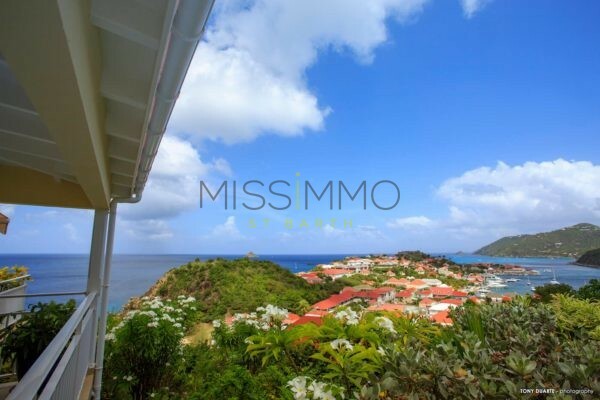 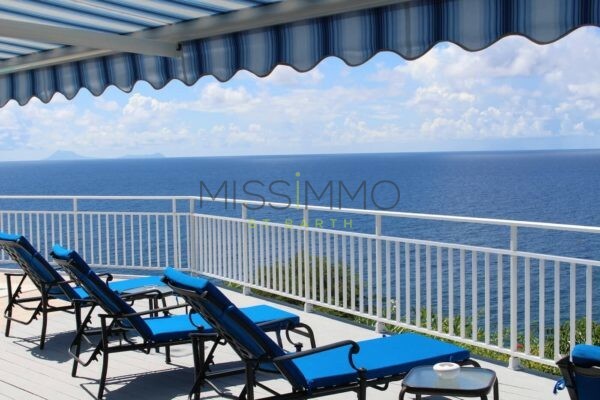 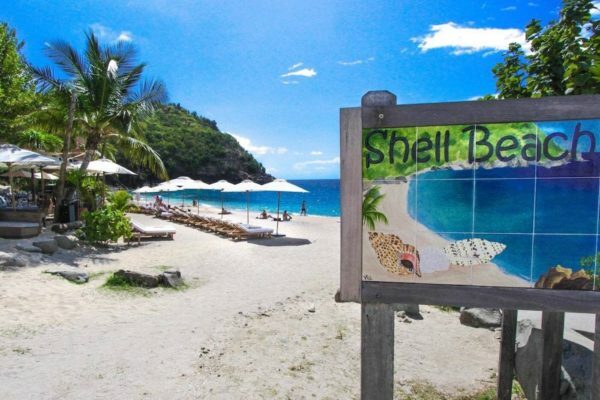 From the property, you can see the beautiful beach, and Gustavia harbour. 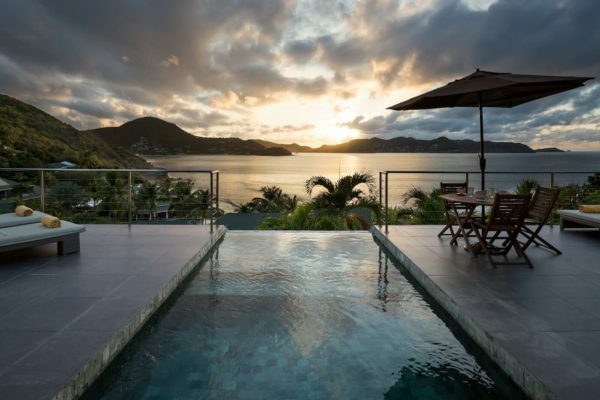 As well as Saba island, St Eustatius and St Kitts & Nieves but especcialy the caribbean sunset ! 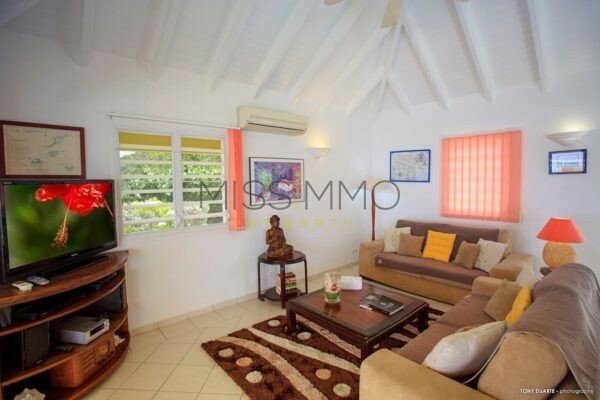 The main level features the living room with air conditioning as well as american kitchen. 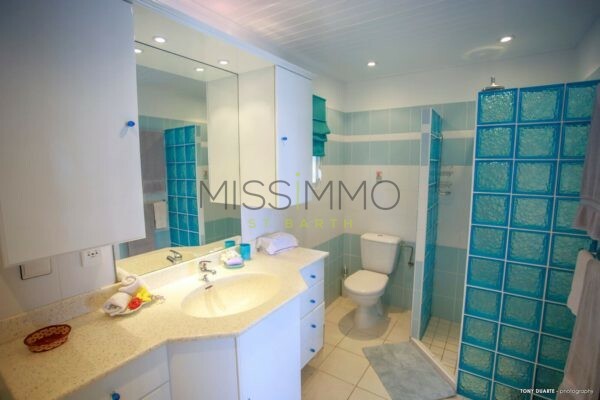 2 king size bedrooms with each an en-suite bathroom are also on this floor. 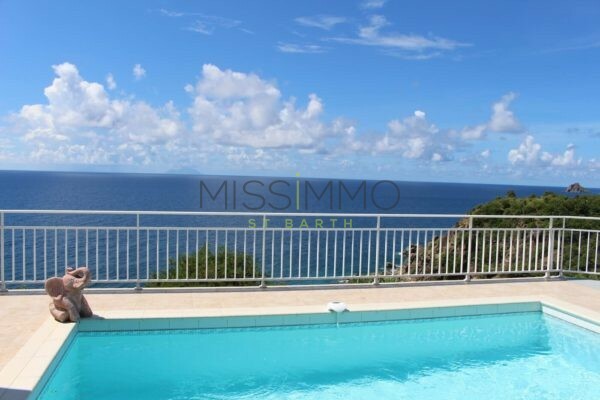 The terrace and swimming pool are facing the ocean. 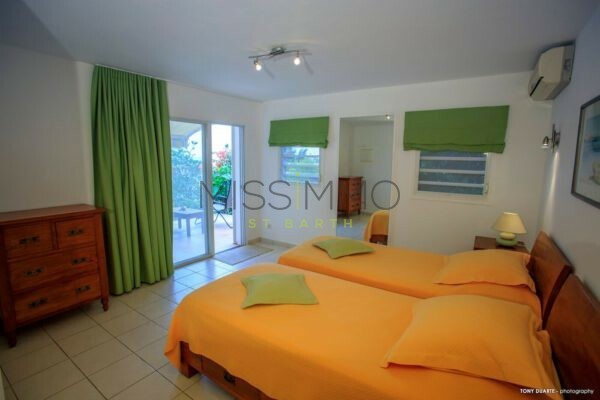 Both bedrooms are accessible by the front entrance. 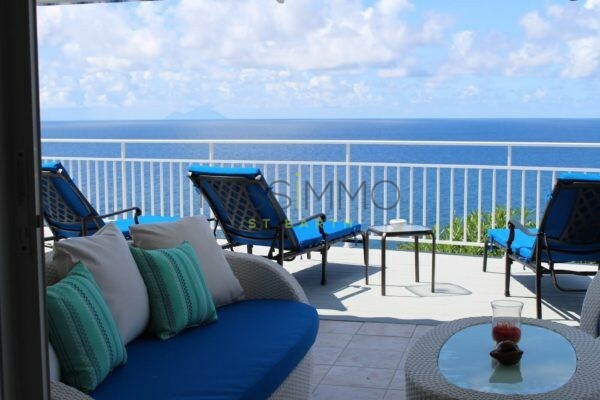 The terrace features a great place for barbecue time, and lounge chairs relaxing area next to the pool. 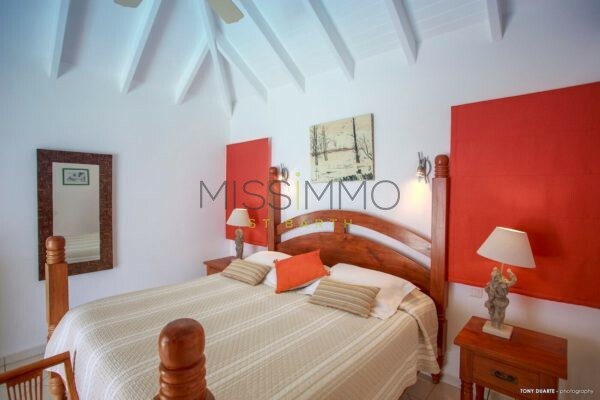 On the lower floor, the third bedroom with twin beds (who canbe converted into a king size bed) and en-suite bathroom feature a private terrace in addition to parking access. 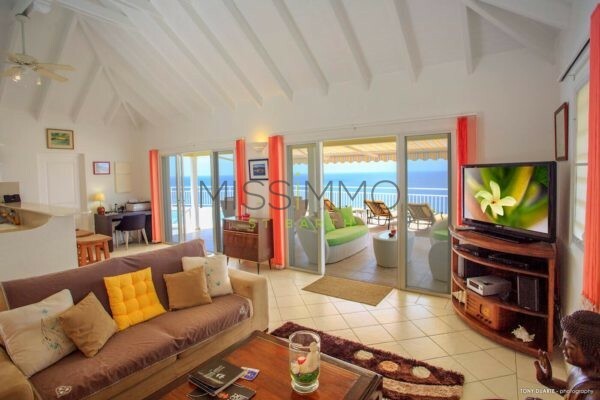 A comfortable home with spectacular view and some of the best shopping and dining options not far from the villa. 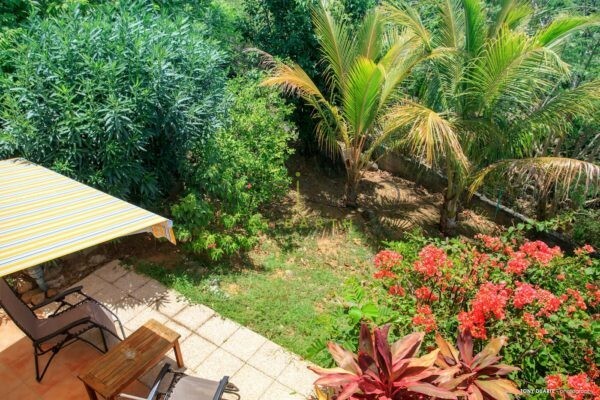 It is a great choice for couples travelling together and families. 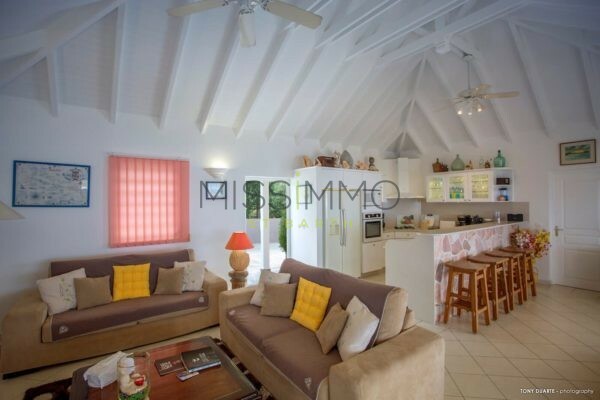 Air conditioning – TV – French & US Satellite – WiFi – CD & DVD Player – Print machine – Ipod Dock – 110 volts plugs. 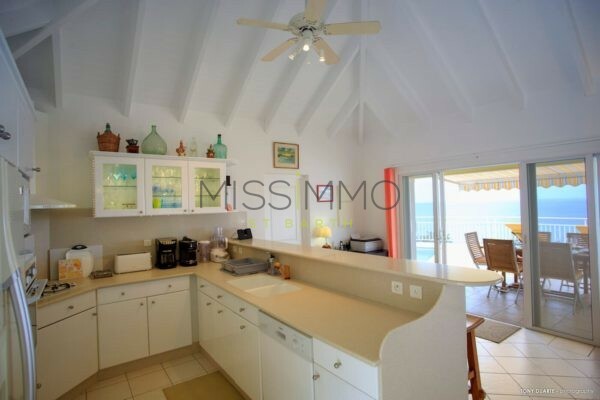 Equipped for 12 guests: Fridge – Freezer – Oven – Cooktop – Dishwasher – Microwave – Coffee machine (Espresso) – Blender. 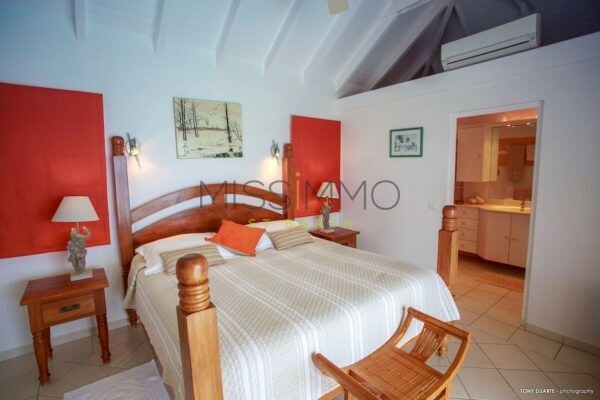 Air conditioning – Twin Beds convertible in Euro King Size Bed – Mosquito net – Safe -Bathroom with shower.